Web browsers have become the essential tool when it comes to the Internet. We use them for work, checking e-mail, communications and many other things. It is therefore important that we want them to start up as quickly as possible and not distract us with unnecessary things. Browser vendors go the other way - they add different, less useful information as soon as we open a new browser window or a new tab. 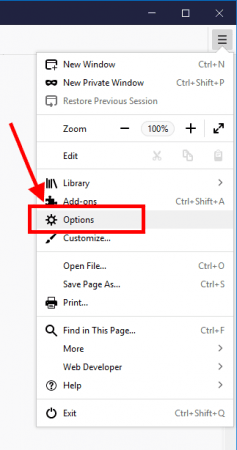 Following the steps below you will be able to configure the Mozilla Firefox so that when you open it or open a new tab, you will see a blank page. I’m having a problem related to this, in a way. I have FF set to Startup > Restore Previous Session. (That’s what it says now, BTW; you need to update your screenshot.) But there are times when I’ve finished viewing webpages, and want to start FF next time with a blank page. I’ve set my Home button to “about:blank”—and when I click it, I do indeed get a blank page. But when I exit FF with just that blank page, and Startup set to “Restore Previous Session”, it doesn’t run again with a blank page (my “previous session”, right?). Instead, it opens the last non-blank page I viewed. I think this is an oversight. Where should I point it out? I’ve tried logging in to Mozilla’s support site, but it asks for some strange “security device” now—and even though I’m a tech writer, I can’t make head or tail out of it. Sorry for a delay. Been on the vacations. 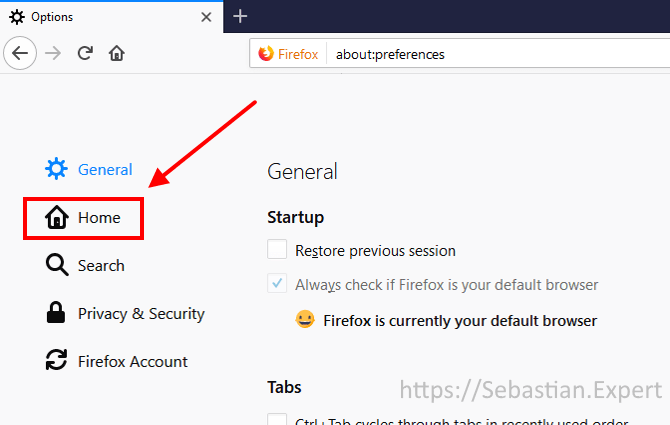 To report a issue with Firefox I would recommend first post question on “Firefox Support Forum” here: https://support.mozilla.org/en-US/questions/firefox It is more user friendly. 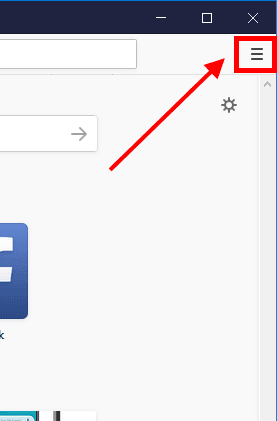 You can also search for this problem here https://bugzilla.mozilla.org/ maybe it was reported earlier. Thanks for the screenshot info – I will update them ASAP.